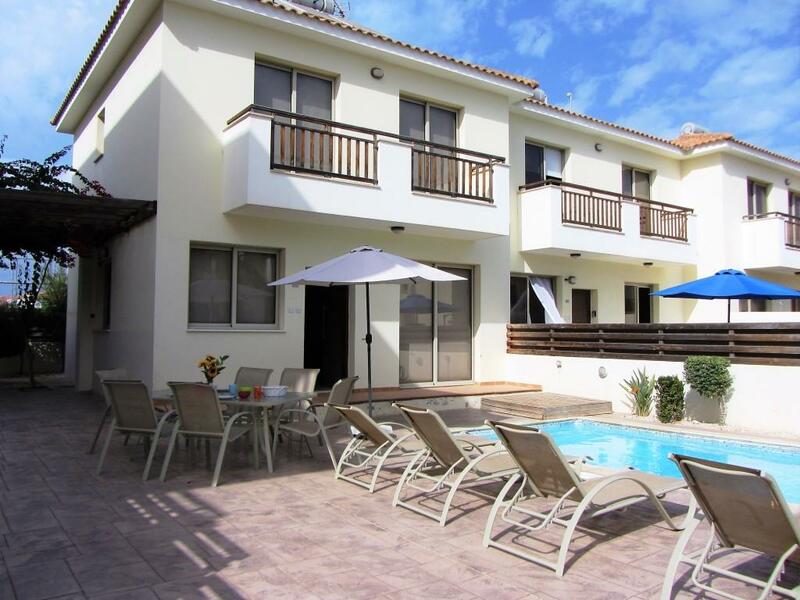 Villa Pernera has 3 bedrooms and is located in a seafront complex in Pernera resort just only 200 metres from various beautiful sandy beaches. 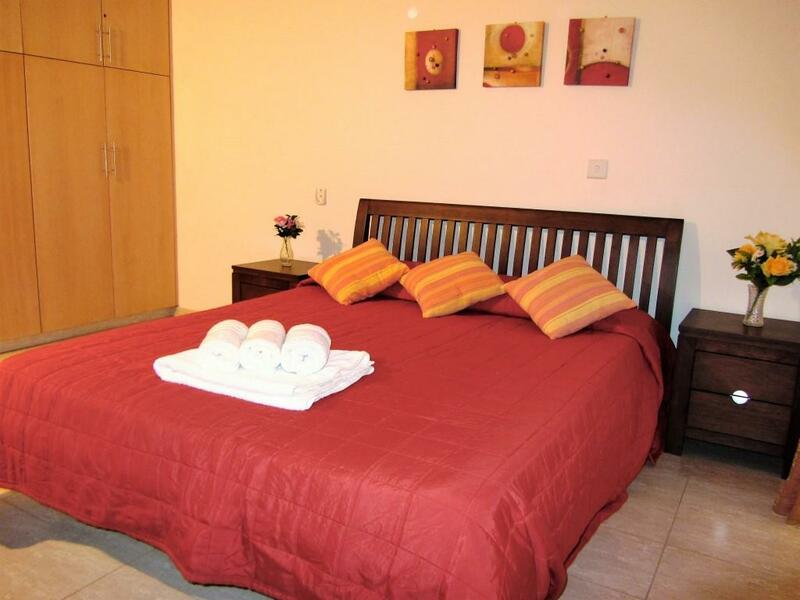 One of the bedrooms have a double bed and the other two have 2 single beds each. 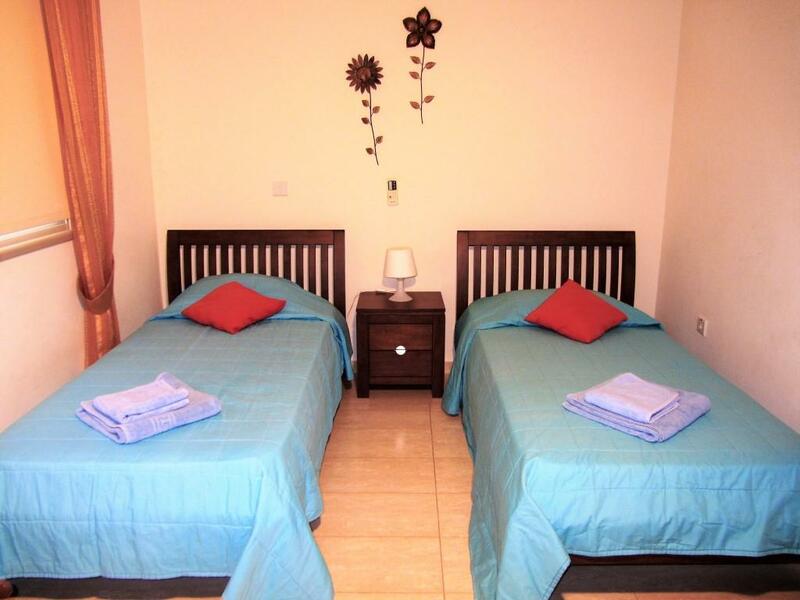 The villa is fully air conditioned furnished and equipped with all modern appliances such as flat TV, DVD player, stereo CD player, microwave oven, dishwasher, full size refrigerator, washing machine, toaster, kettle and all necessary kitchenware. 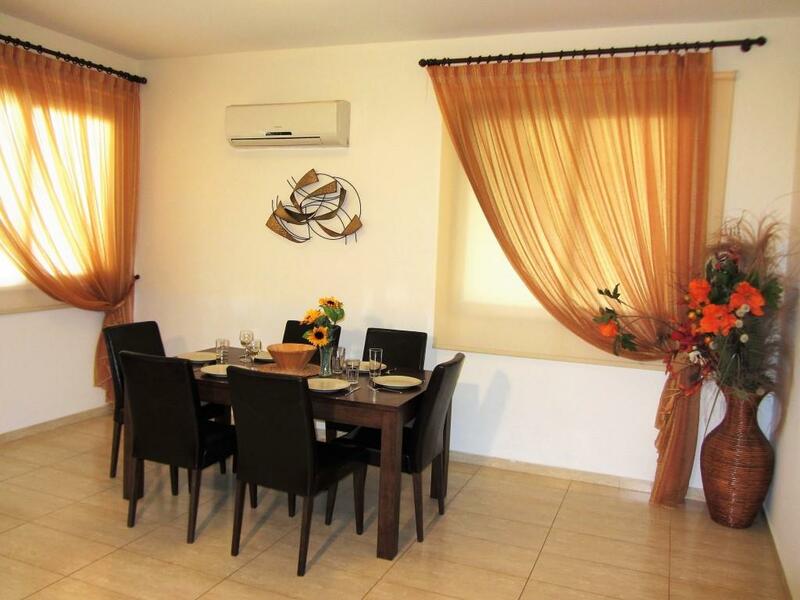 The villa has a specious ground floor open plan setting with the kitchen, dining and lounge area. Large sliding doors lead onto the spacious outdoors pool area. 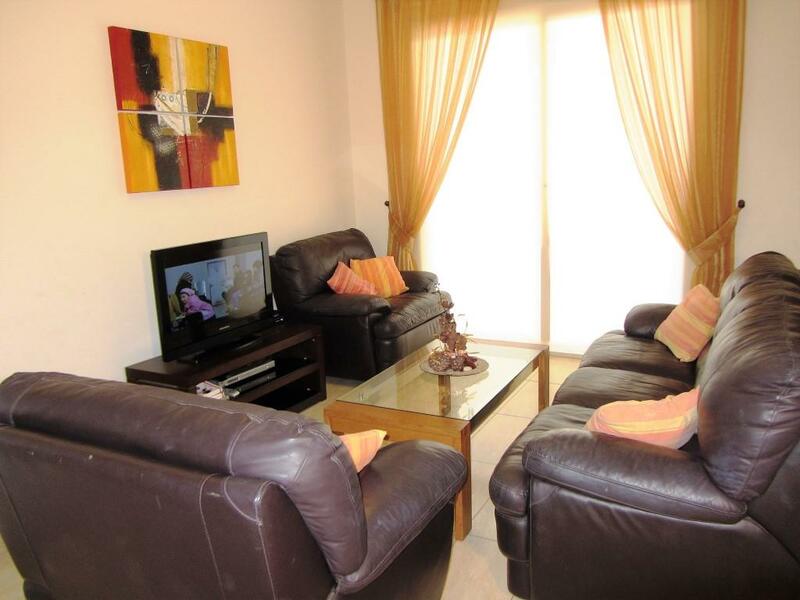 The lounge area is tastefully furnished with comfortable sofas, a coffee table, a TV/DVD player and satellite system with news and children’s channels. The inside dining area can sit up to 6 people comfortably. 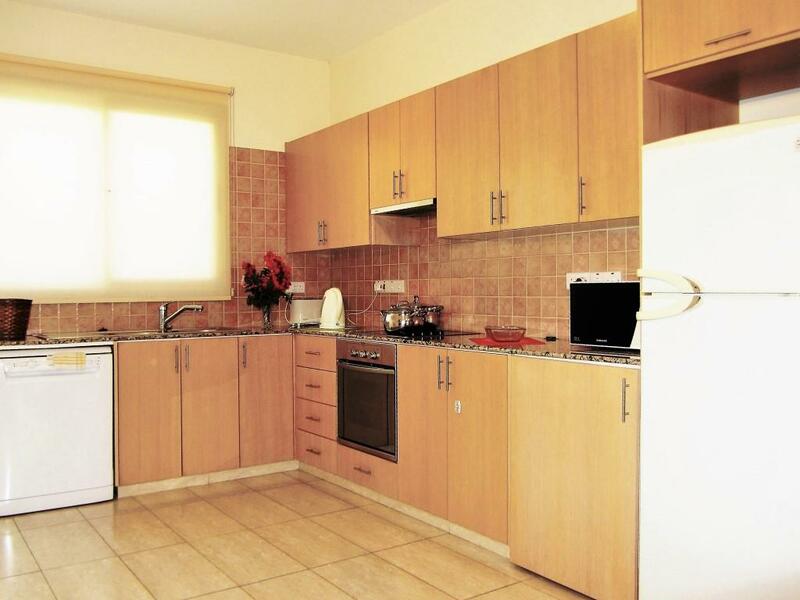 The kitchen is well equipped including oven/hob, fridge/freezer, and washing machine. 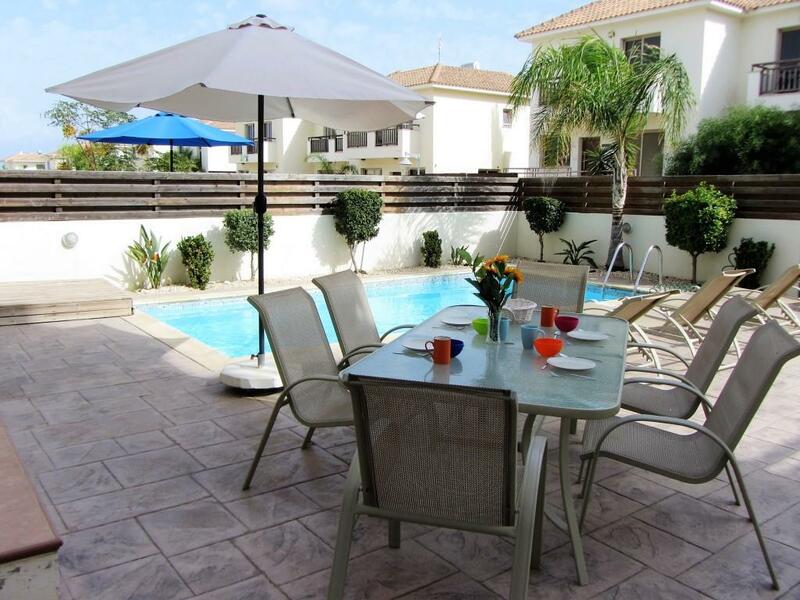 The garden area comes complete with a 8x4m private pool and sun loungers, a garden table, and chairs. The view is beautiful from balconies and veranta. 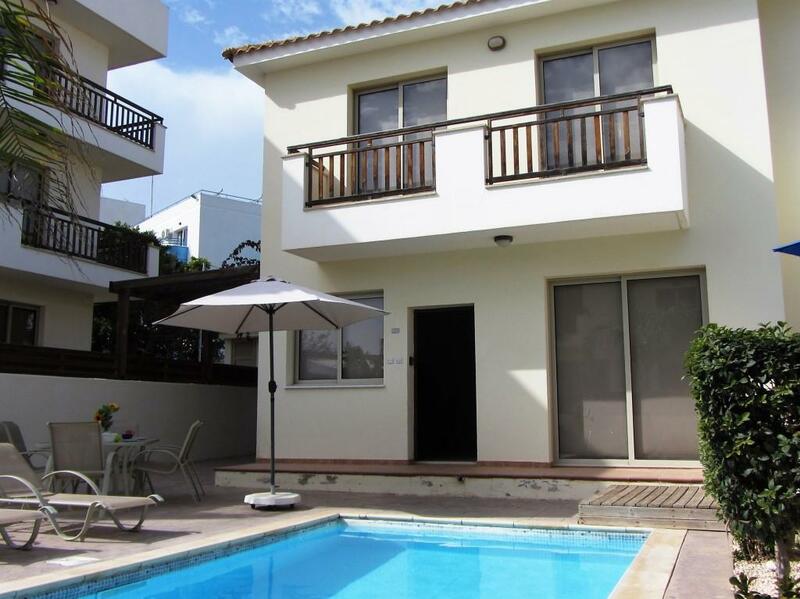 Villa Pernera is located within a popular seafront complex in Pernera – Protaras. 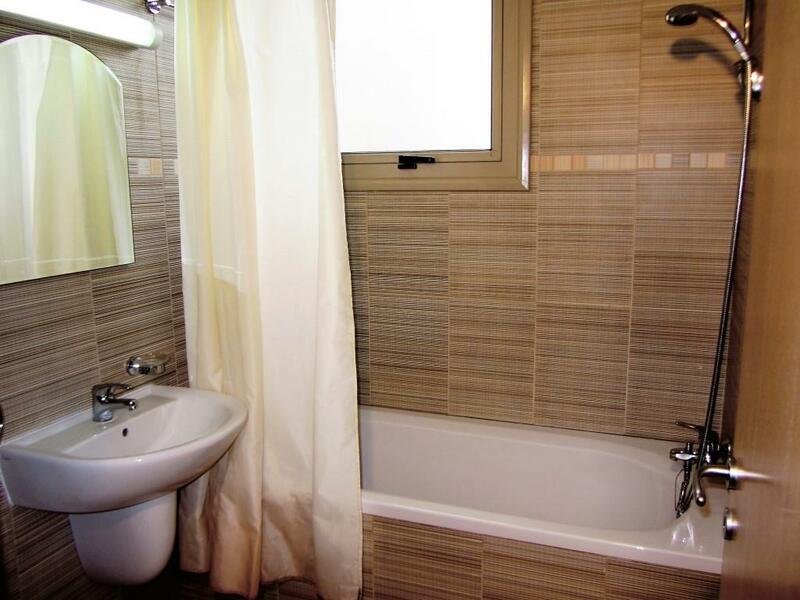 The complex has a privileged position that sits on walking distance to various sandy beaches and within minutes to the resort center and local amenities. Closeby at the beach there are communal swimming pools and children’s pools that can be used free of charge by our guests. Good quality restaurants and open plan bars are reasonably priced and and they are serving hot and cold drinks, both facilities offering free Wi-Fi. 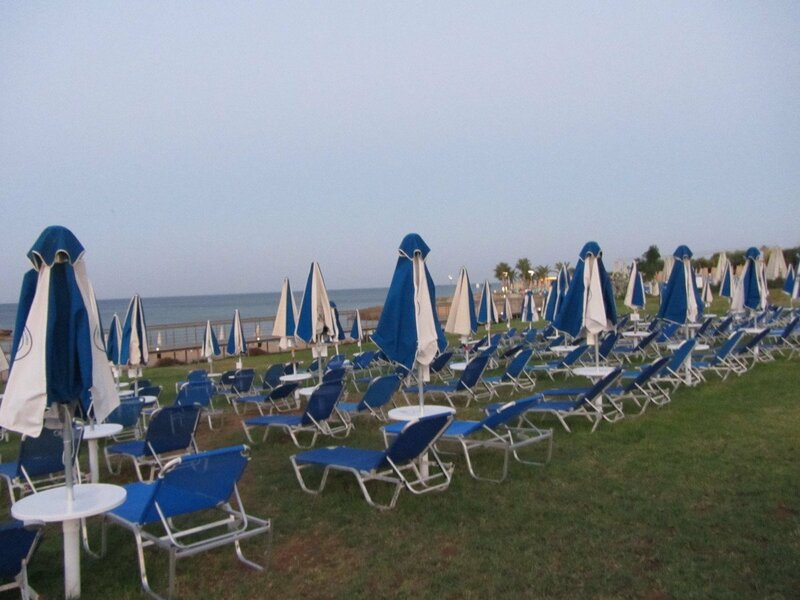 There are also sun beds alongside the facilities and these are placed on a grassed area stretching down to the beach also can be used free of charge by our guests. An allowance of 100 kWh of electricity is allowed per week this is sufficient for normal use, any use over this will be charged as an addition and deducted from your security deposit. 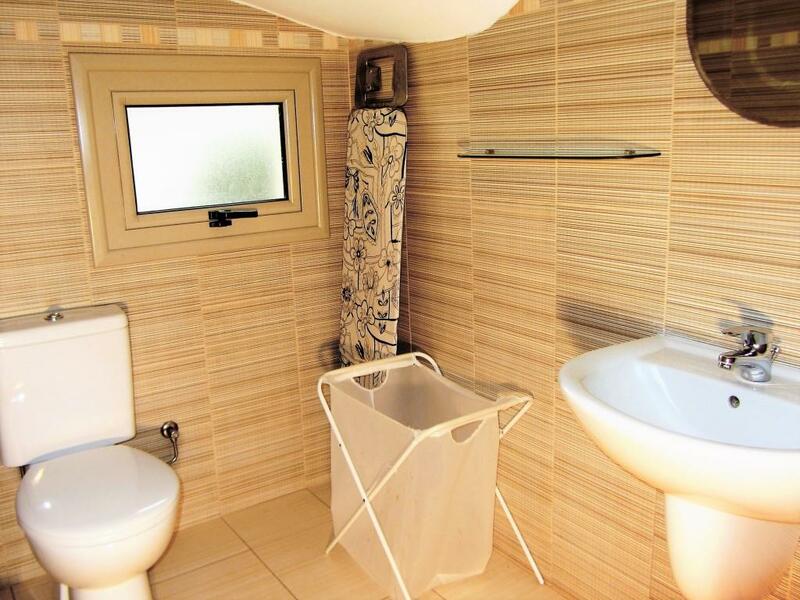 On arrival we will show you the electricity meter, you are welcome to take your readings on arrival and on exit. 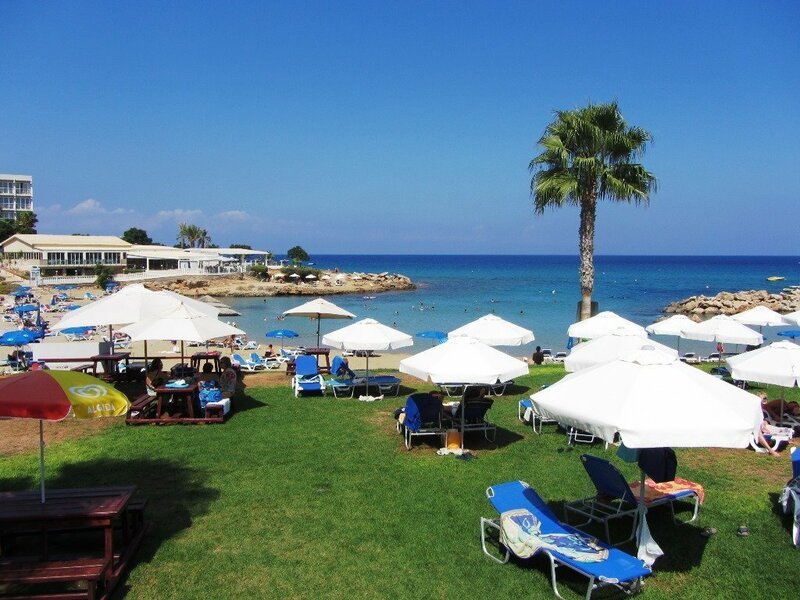 Polyxenia Beach at Pernera with a grassed area leading not only onto a lovely sandy beach but it also brings you to the beginning of the boardwalk into Protaras, passing coves of sandy beach every now and then. The walk should take about 20 minutes, depending on how fast you walk, how hot it is and how many bars and restaurants you stop in along the way. 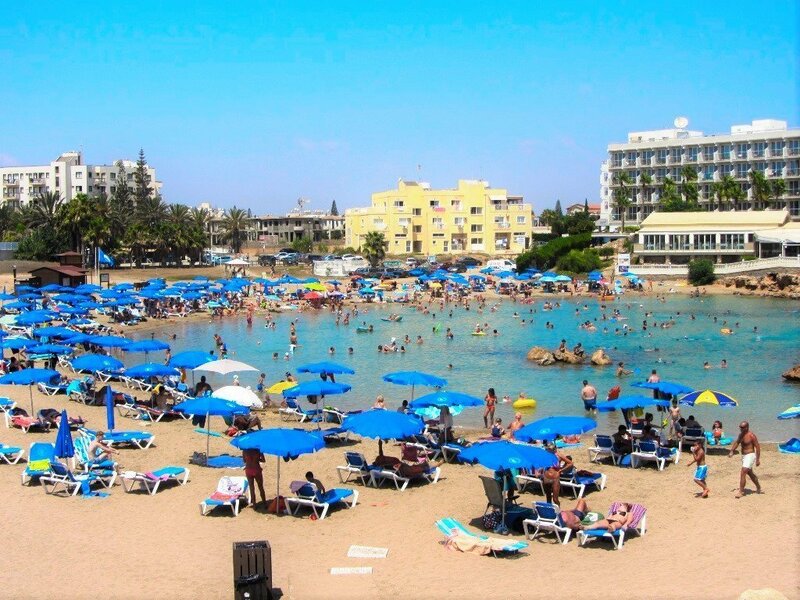 Next to Polyxenia is Marlita Beach just along the boardwalk in Pernera, a sandy little beach with gently sloping bay itself is one of the nicest sandy beaches on the eastern coast of Cyprus.